Some old guys hang around bars or gamble. I design and make stuff. 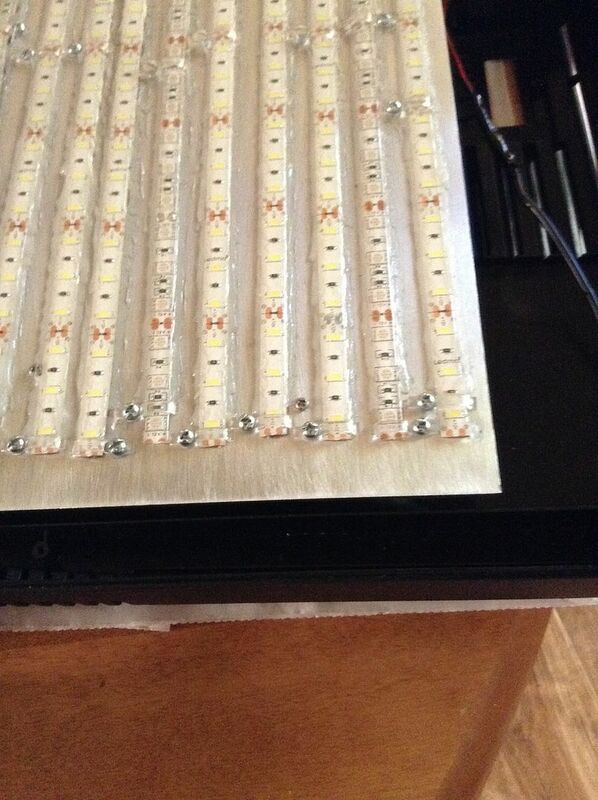 All of the LED strips are now caulked with GE Silicone clear, to help hold them in place. Applying the caulking on a flat heatsink is as easy as possible. 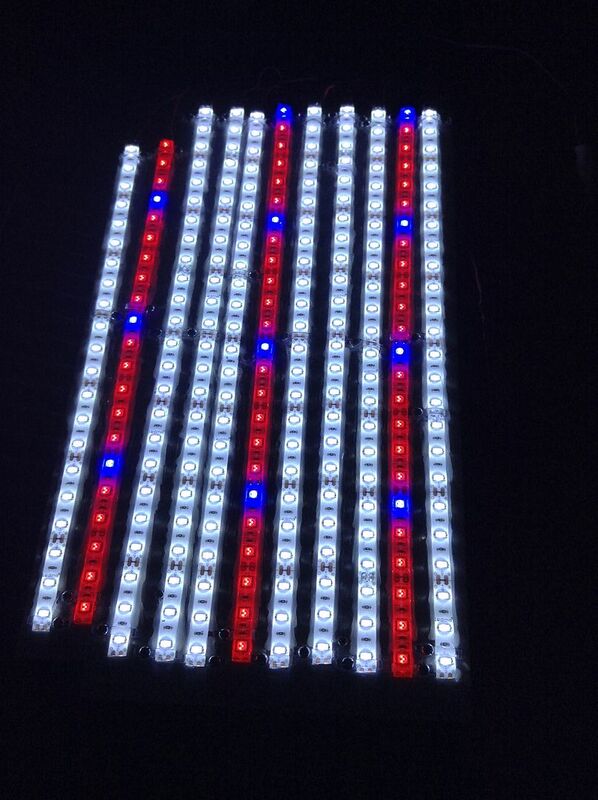 I have 8 strips of white LEDs, and 3 of "horticultural" (deep red with 1/4 blues) LEDs. 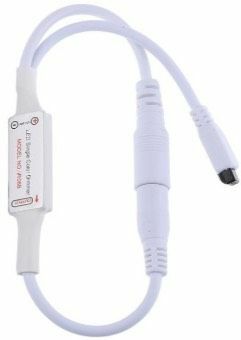 EDIT: If anyone wants to try the solderless connectors - beware! They are very tricky to install. No instructions come with the package, so you have to figure it out yourself, or remember to study the Amazon listing for them very closely. I'm having some of them work once then quit working. It's because I didn't install them right. 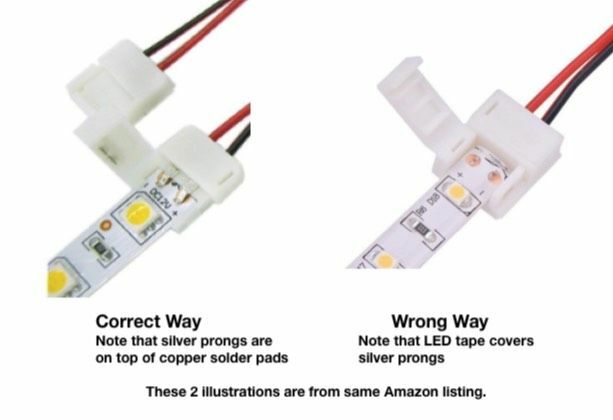 The LED tape end has to go under the contacts on the connectors, not on top of them as seems to be the obvious way to do it. Now I have a struggle to reconnect the correctly, mostly blind, since they work best upside down from how I have them. If I can copy the illustration of how they are supposed to work I will add it here later. EDIT: After installing those solderless connectors the correct way I have 4 working, a few working intermittently and the rest not working at all. I'm going to remove all of them and just solder the connections, not my favorite job. I suggest not using those connectors at all. You just can't beat solder for connecting small wires! This is so bright it hurts to look at it! I'm getting 48 PAR at the bottom of the tank! That is pretty close to the 45 PAR I predicted! Math won this contest! I also got a remote dimmer for this type of light, and I experimented a little with it earlier. It does work. 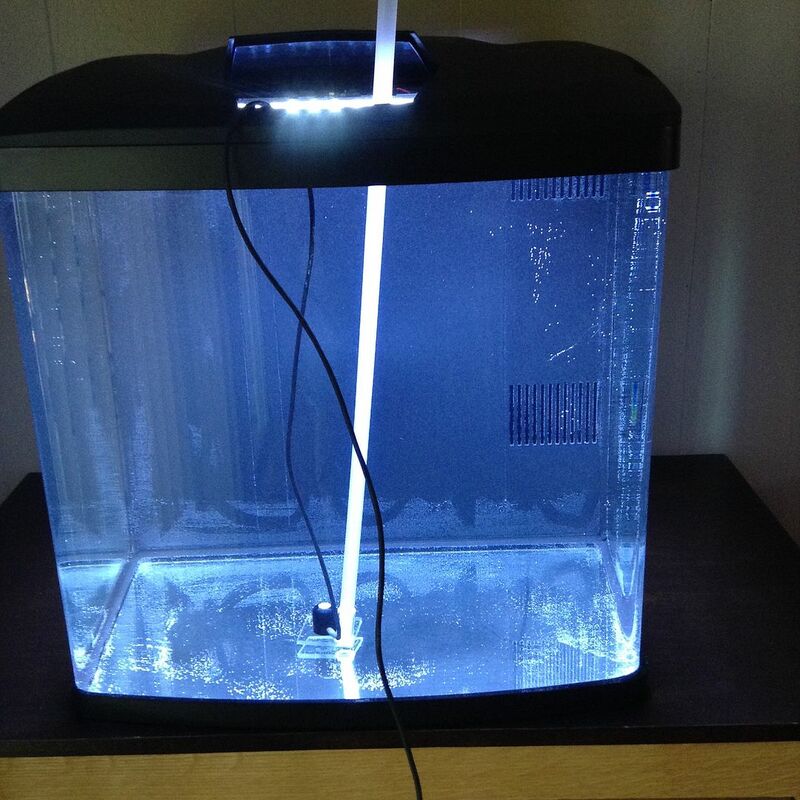 Now, I need to put water in my tank, and see how much that changes the light intensity. Then I need to calibrate the dimmer, so I can adjust the intensity to whatever I want, as long as it is less than the maximum the light puts out, and finally, I need to see if the dimmer setting stays the same when a timer turns the lights on - off -on again. Ideally I will be dimming it down to 35-40 PAR, so the LEDs will operate at a lower power to reduce the operating temperature enough to make them maintain their intensity for a few years. Then, if it does deteriorate I can reduce the dimming to regain the intensity. I will probably work on that tomorrow. And, with the original light. Weird!! With water in the tank the light color looks the same as with the original LED light. Even to my eyes it looks just about as blue. With no water I got 48 PAR! I always knew that the air-water interface focuses the light a little, but I didn't expect it to ever double the intensity! The Dimmer works fine, so far. It dims in steps each time you click the button. In 4 clicks it dropped the PAR from 90+ to about 45 PAR, which is about what I want to use. The 12 VDC power supply for the LEDs was pretty warm, OK, it was hot, with full power on. With it dimmed the power supply doesn't seem to even get warm. I tried disconnecting the lights, waiting several minutes and reconnecting them. They lit up at the dimmed power. If it continues to do that after hours of being off, I will be a happy camper! It is now pretty obvious that the very high PAR reading I got with water in the tank, is a result of light reflected off the glass back into the water. 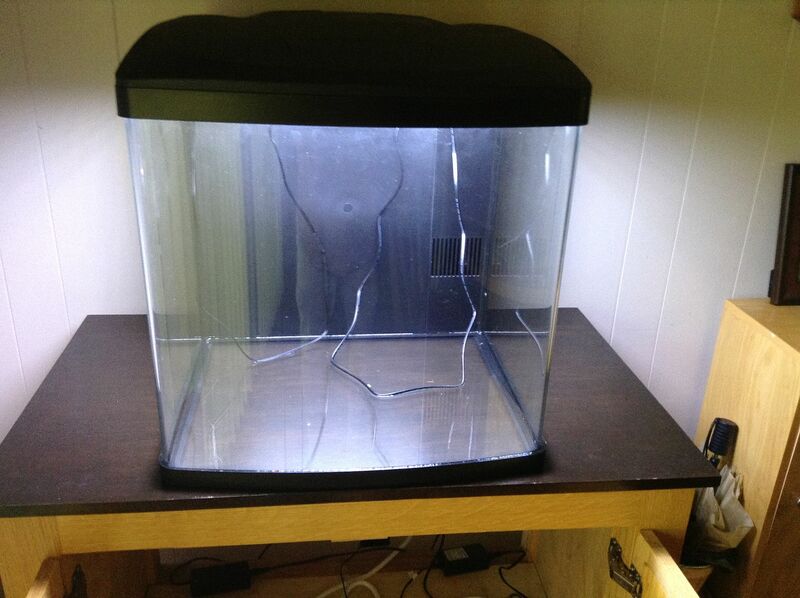 This tank has a semi-bow front, it is curved, so it concentrates the reflected light in the middle of the tank. 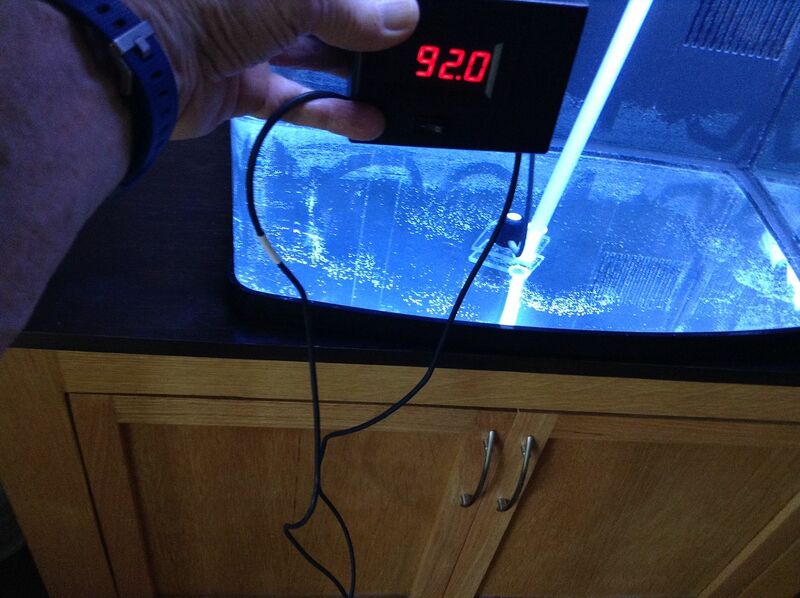 Now that I have some plants in the tank, the PAR reading is much lower due to the plants blocking some of the light. 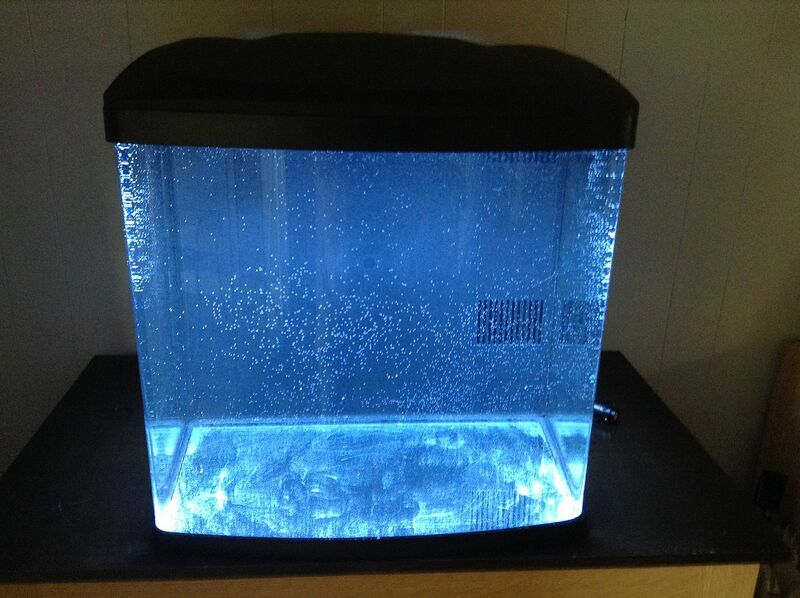 I had about 40 PAR, after I adjusted the dimmer, with no plants, but that dropped to 25-30 with plants in the tank. So, I adjusted the dimmer again to get back to 40 PAR. Very interesting! I've notice that even in typical rectangular planted tanks, PAR is often higher near the unobstructed front glass, but not nearly as big a difference as you report in the bare tank.